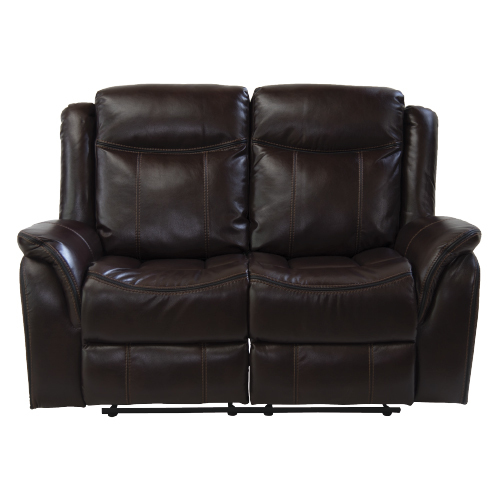 With the ZHEJ017 Recliner Lounge Suite, there is so much style and comfort! 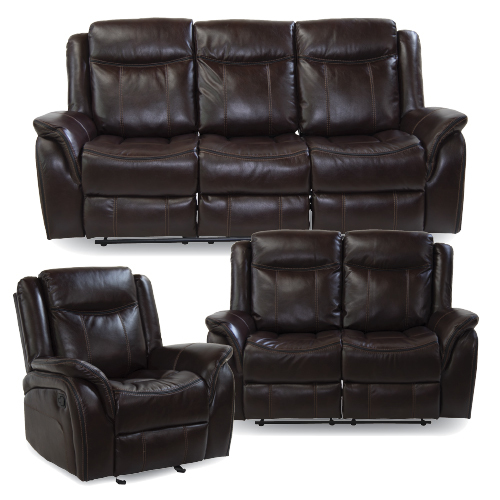 With plush backrests, leather-like fabrics, all the stitching details, and flared arms, this motion furniture set brings true beauty. 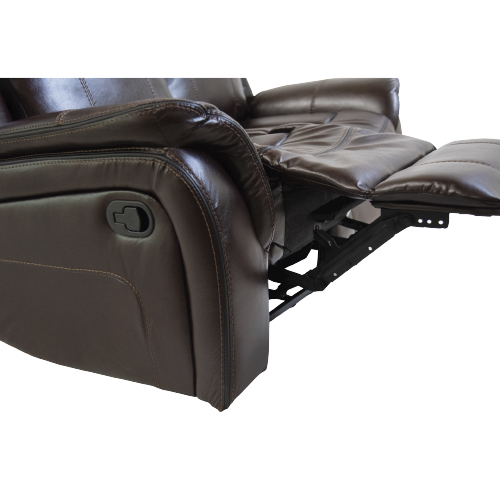 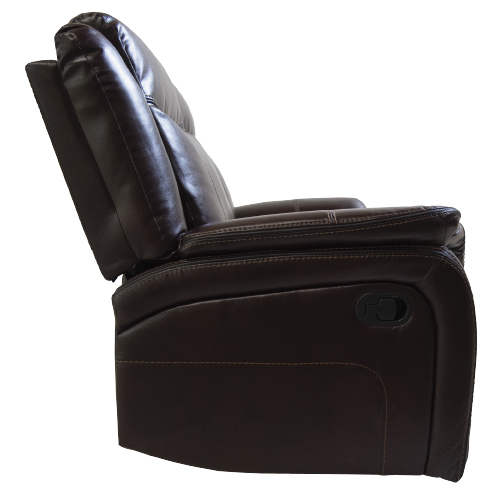 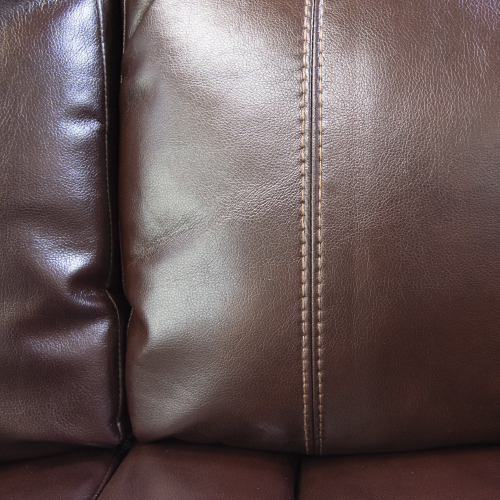 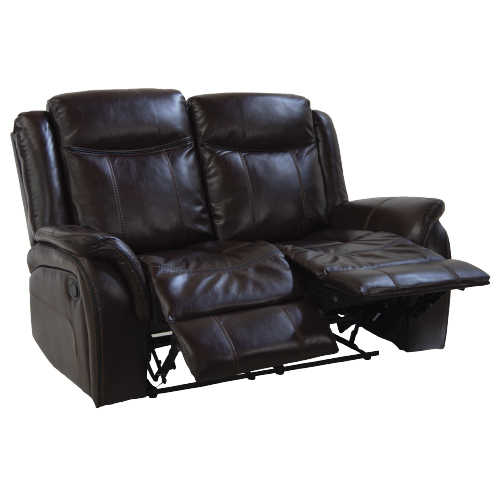 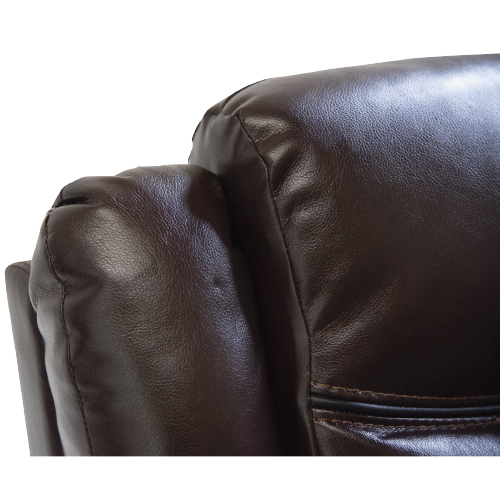 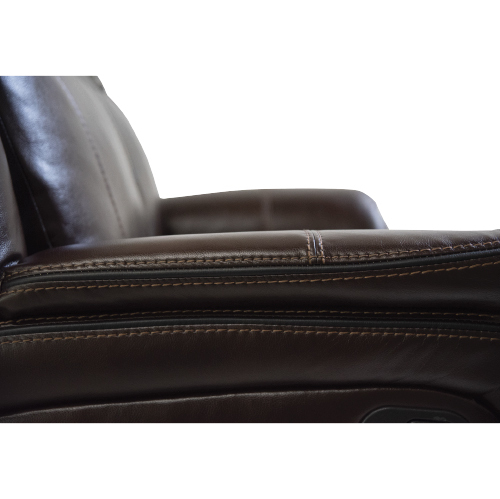 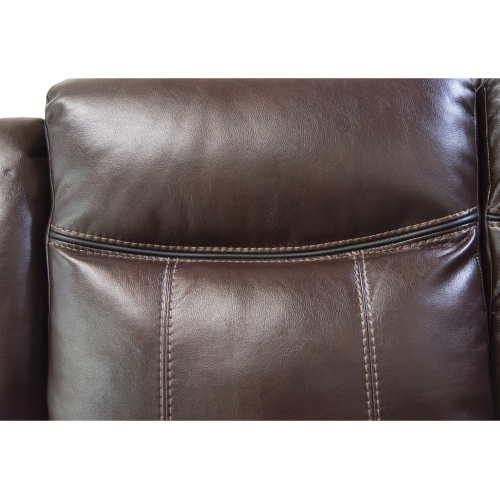 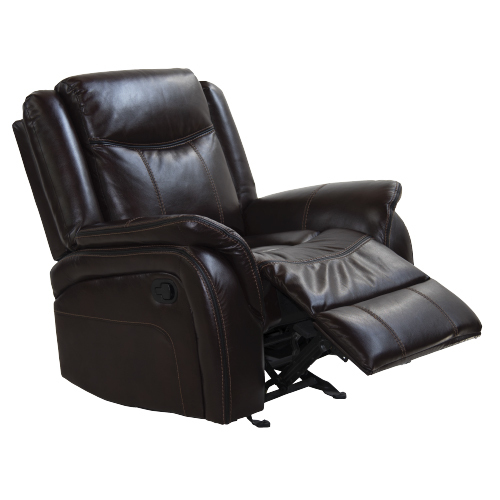 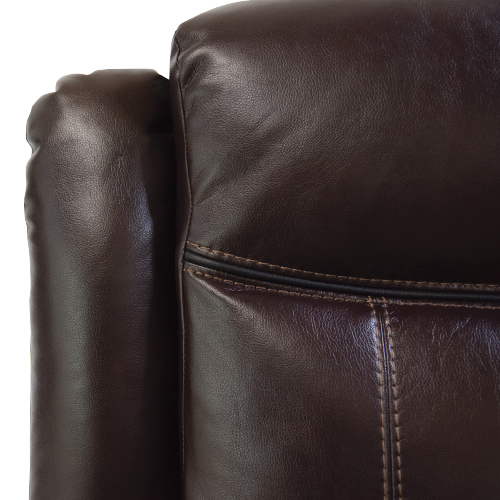 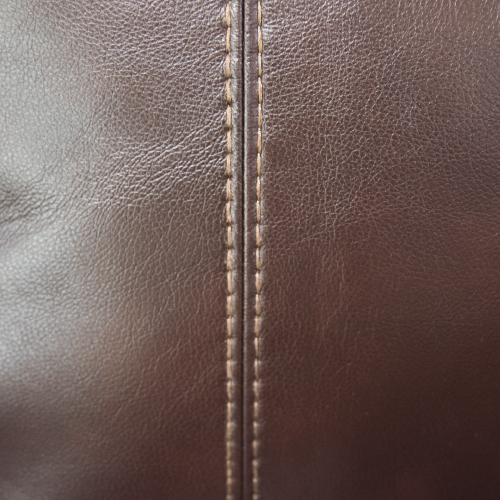 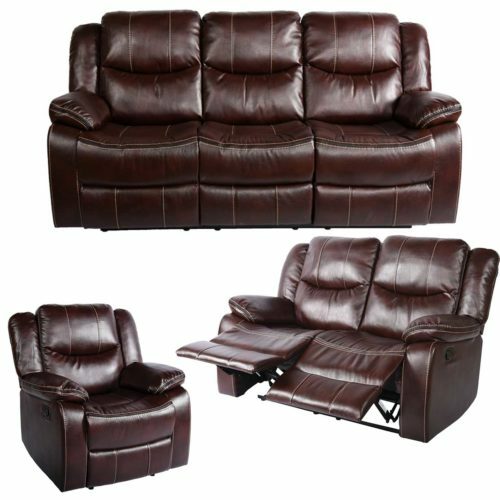 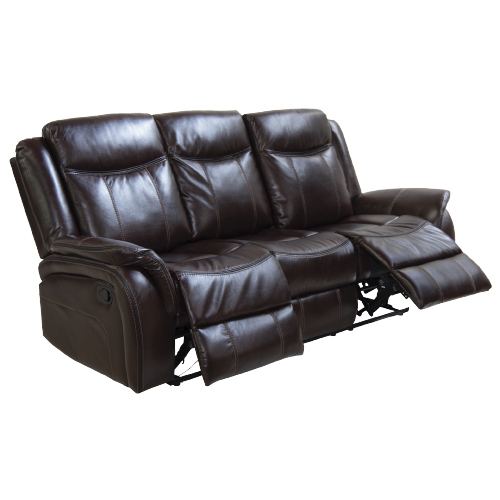 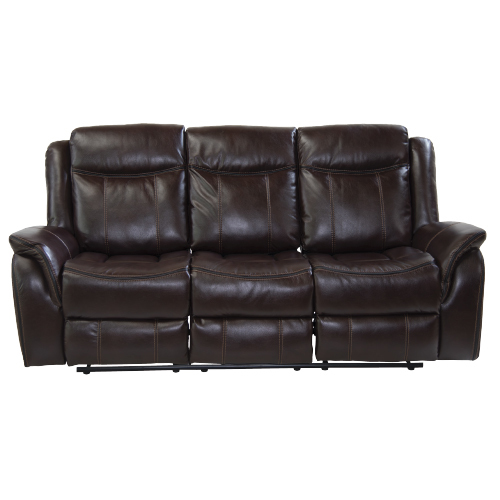 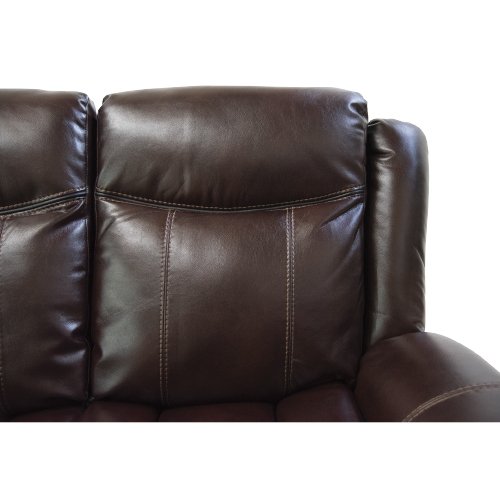 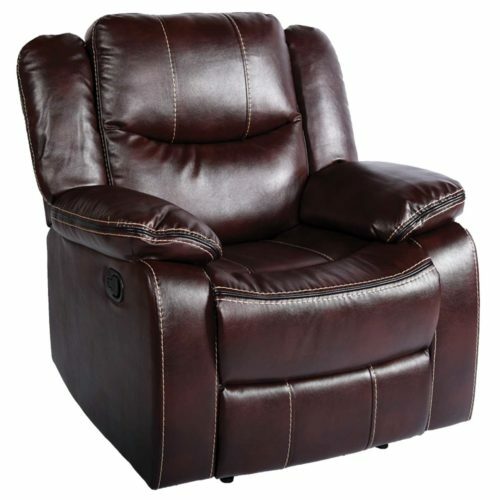 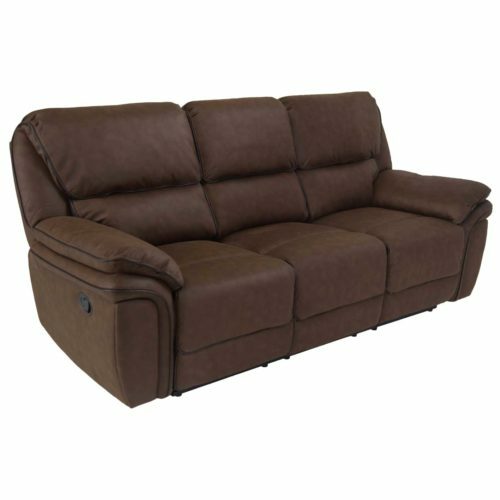 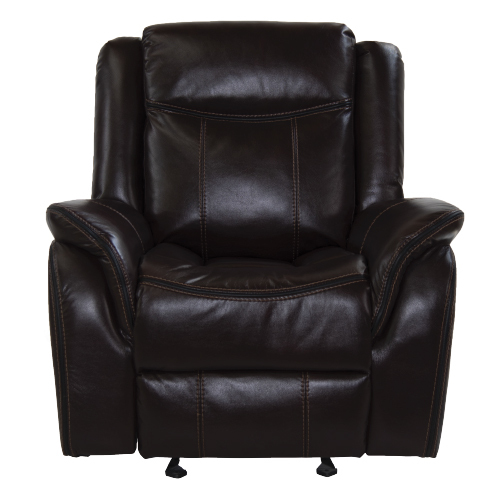 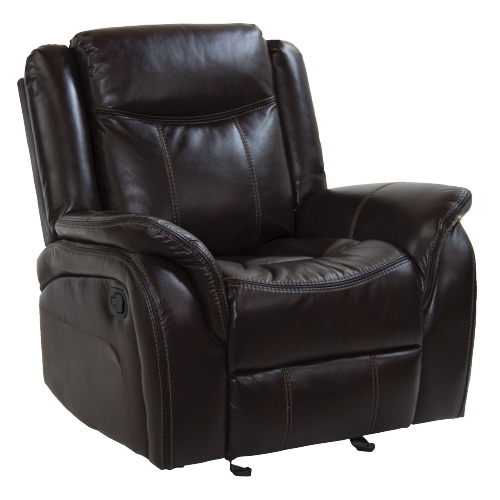 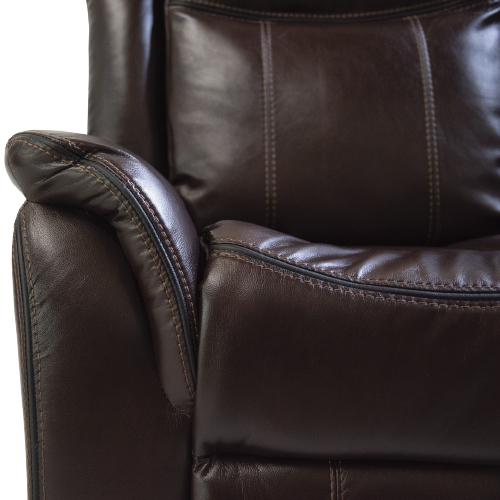 The bagged backs and arms and reclining function, along with the pocket coil seating, make relaxation easy. 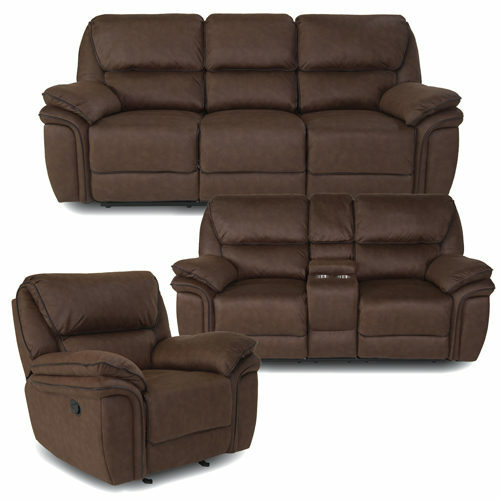 This transitional living room collection brings it to the sanctuary of your own living room. 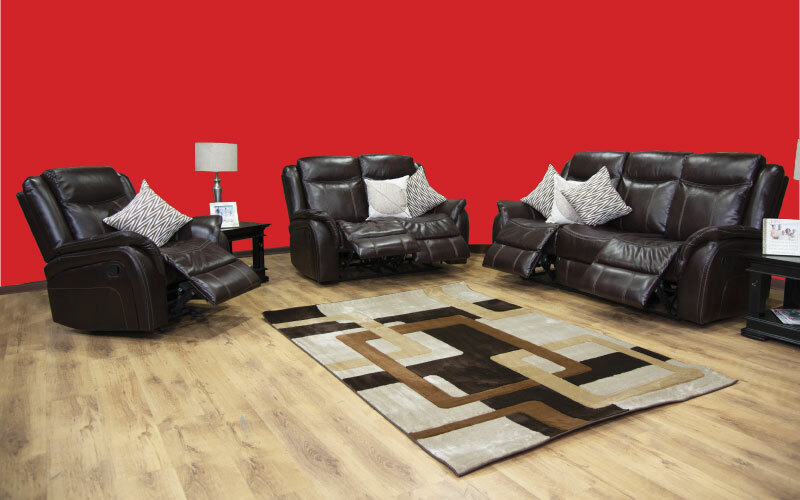 This set is available in two colours, Grey and Rustic Brown.